The women’s team came away from the Mt. SAC Relays in Walnut, Calif., Apr. 14-16, with two new school records. 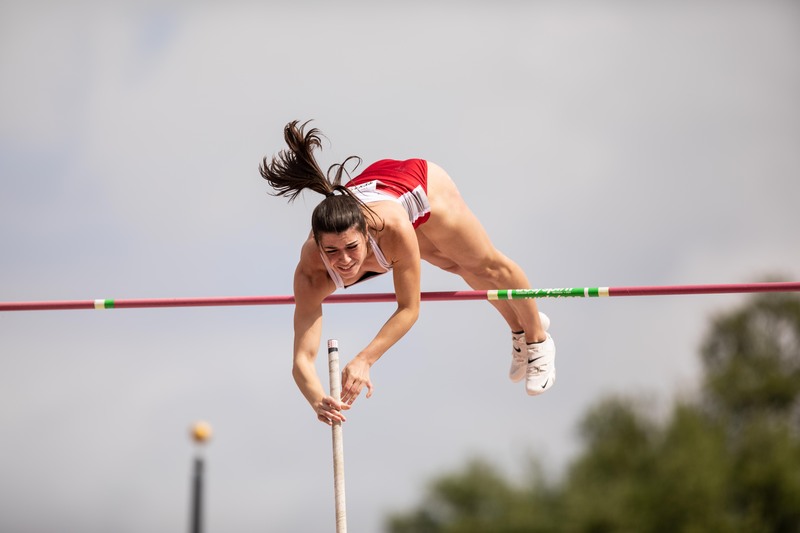 One came from sophomore Bethany Buell, who pole vaulted 13 feet 3 1/2 inches, breaking the record she set earlier in the outdoor season. Buell placed fifth overall at the highly competitive meet. Another record-breaking performance came from sophomore Alexa Duling in the 400-meter hurdles. Duling ran a time of 1:00.15 to claim the outdoor school record and sixth place overall. A nearly record setting effort also came from sophomore Gabriel Williams, who came just .55 tenths of a second shy of setting a school record in the 100-meter dash. Williams ran a time of 11.99. Other notable performances from the women’s team came from junior Emma Erickson who ran a 2:09.49 in the 800-meter run for 19 palace overall, and senior Jasmine Mosley who placed 20 in the shot put with a throw of 44 feet 3 1/2 inches. Top performances from the men’s team came from freshman Travis Brenner who ran the 1,500-meter run in 3:55.02 and sophomore Casey Shade who ran a 1:52.32 in the 800-meter run.